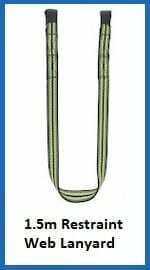 A lanyard is defined as a rope or strap to secure something. 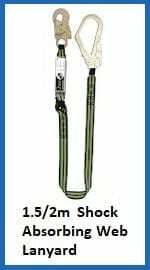 In the case of height safety equipment, lanyards are normally used to anchor the wearer of a safety harness to a secure fixing point to either prevent a fall or restrain a fall. All PPE kits should contain a lanyard. 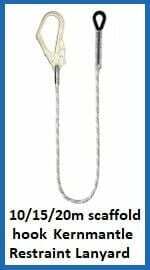 Safety lanyards can be made from nylon or polyester webbing or specialist rope. They are typically attached to the ‘D’ ring connector on a safety harness or safety belt. They offer vital protection against falls whilst allowing the user to complete high risk tasks from any height. There are many types of lanyards that are used for height safety purposes. 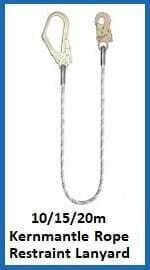 Whether made from webbing, rope or cable they come with a variety of end fittings to enable easy connection to different places. 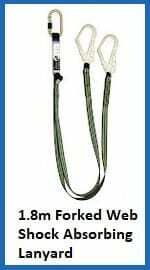 Regular lanyards are simply a length of webbing, rope or cable with a connector at each end; some other types of lanyard include ‘Y’ shaped rope, the shape of these enables the user to move more freely over obstacles with less hindrance. 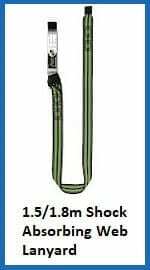 Then we have shock absorbing lanyards, these are essential in any fall arrest system as they will absorb a specific amount of force which is applied throughout the body in the event of a fall. Bear in mind there are many factors which can affect lanyard materials to be aware of. 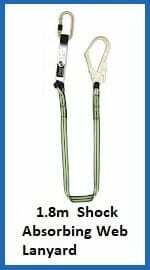 We include lanyards in our safety harness kits for your convenience. We also supply a range of fall arresters to compliment our other height safety equipment. 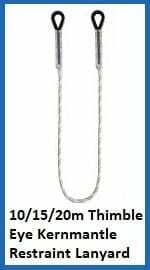 If you are not sure of the type of lanyard you need then call us on 01384 78004 for friendly advice. You can also contact us through the rapid enquiry button or the contact us page. Let us know your details and your specific requirements and we will contact you with a quote in no time. Lanyards Overall rating: 5 out of 5 based on 6 reviews.